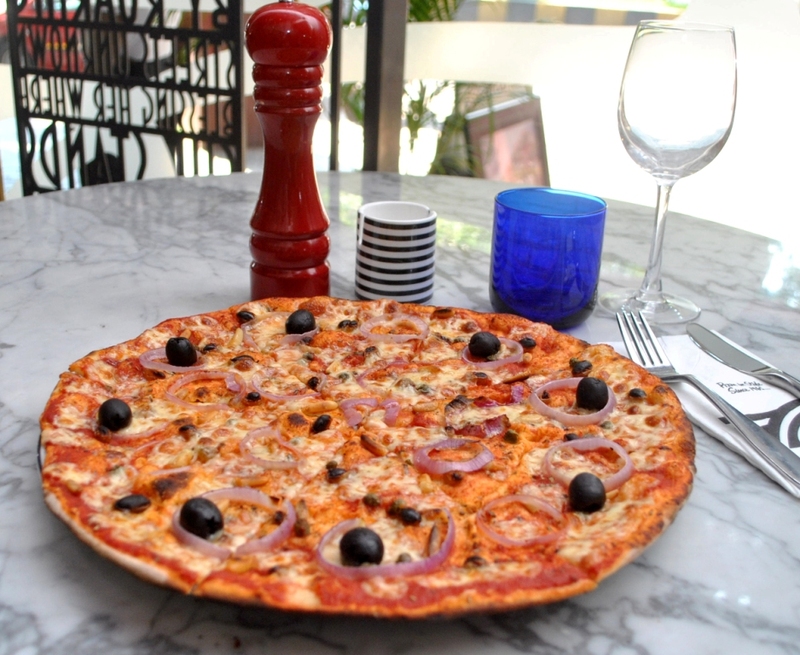 PizzaExpress a UK-based Pizza chain is celebrating its first anniversary in the country. They opened the first outlet in Colaba, Mumbai last year in collaboration with the Bharti Family office an off-shoot of the Bharti group. They have now opened two more outlets one in Thane and one in Andheri in quick succession. I was invited for a Chef’s table for media hosted at the newly launched Andheri outlet. The outlet is contemporary in design with an open kitchen, marble top tables with a minimal cover giving it a “smart-casuals” feel. We were welcomed with a glass of Ti Amo, Prosecco a sparkling wine from Italy, Veneto to be specific and it kept flowing throughout the evening. 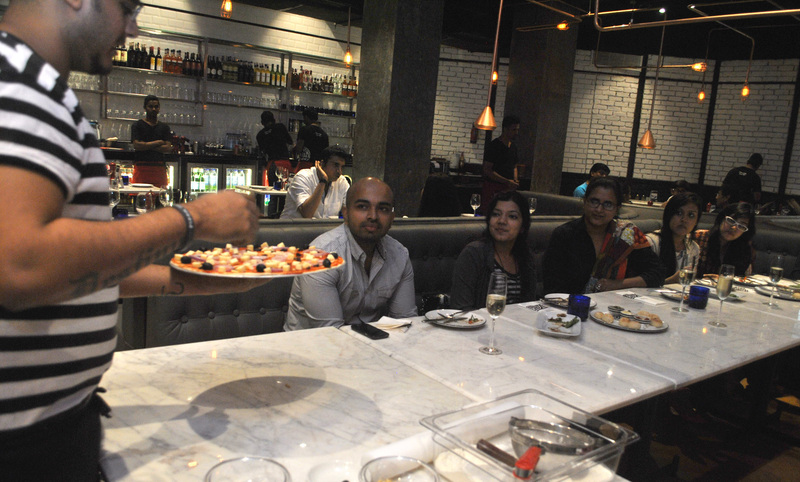 “The first PizzaExpress opened in London in 1965 and till this day we use the same recipe for the dough, a recipe which is closely guarded” said Soham, the pizzaoli trainer as he took us through stretching of the dough and showed us the making of a few pizzas. First arrived their signature dough balls with garlic butter, pesto and red pesto (made of sun-dried tomatoes instead of basil) dips. 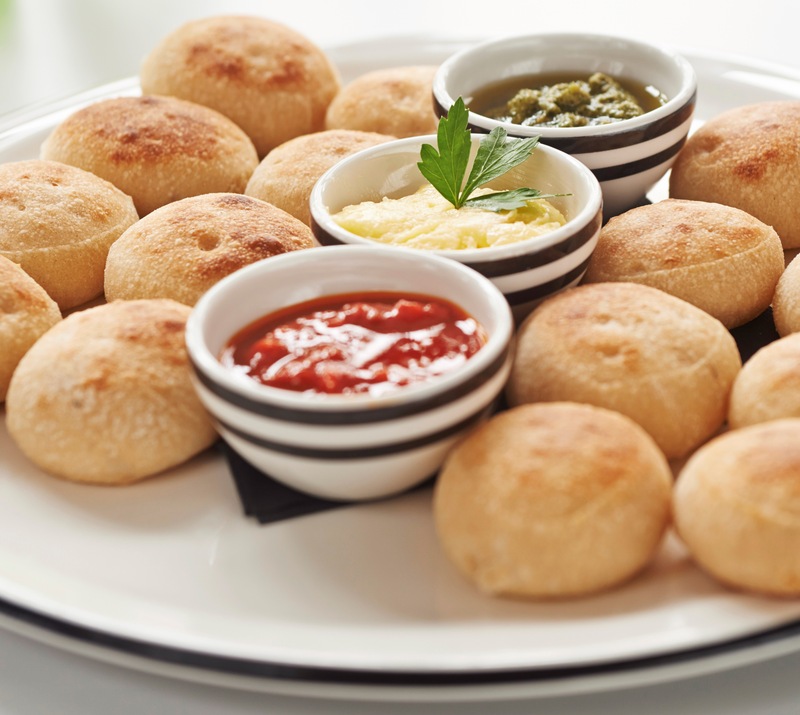 Dough balls are baked to get a crisp crust and soft inside, perfect as an appetizer. They also do the same for desserts with some Nutella and vanilla cream. 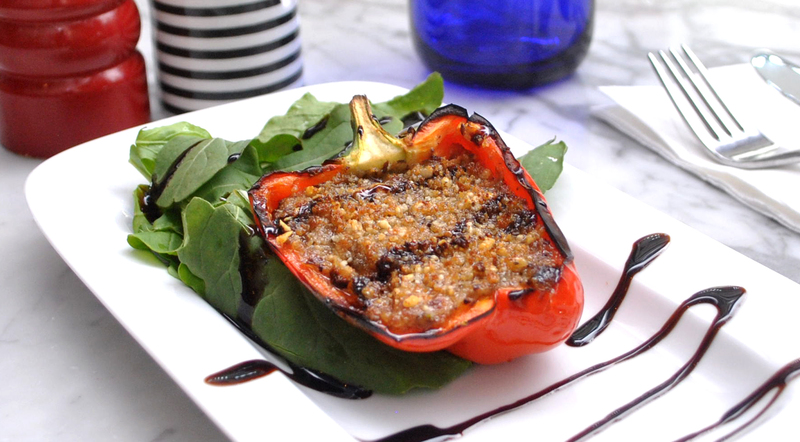 Ramiro Al Forno a starter was served next, a new introduction to the menu, coloured bell pepper stuffed with button mushrooms, mozzarella, goat cheese and gratinated. The cheese mix was perfect but had no trace of mushrooms on the palate, a delicious dish nonetheless. Then came the pizzas, Veneziana and Pomodoro Pesto. Both 14 inch thin crust, not paper-thin though, they had a bite. Veneziana named after the city of Venice this one is running strong since 1965, with Pine nuts, onions, capers, olives and Sultanas, it was crunchy, sweet, zingy, quite different it was! Pomodoro Pesto (Pomodoro is tomato in Italian) with pesto and tomatoes was my favorite, soft, rich and refreshing. The veggie lasagna was pretty average I thought. The Ti Amo kept me company and it was friendly with all the dishes served. 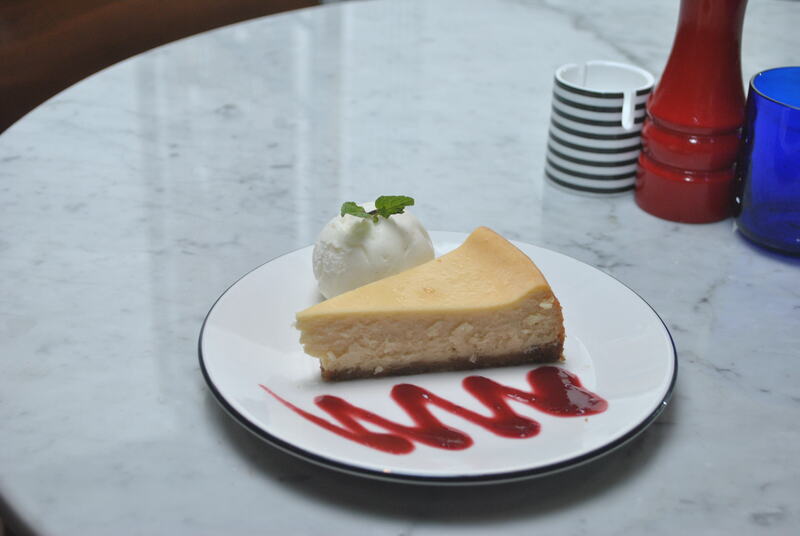 For desserts was the baked cheese cake, Banoffee pie and newly launched Gelato Amaretti. The cheese cake was divine; a must have, the banoffee pie would have been better with more toffee and lesser whipped cream and lastly the Gelato was a scoop of vanilla gelato topped with Amaretto (Almond flavoured liqueur) soaked apricots accompanied with baked dough sticks, not my pick; may be because of dislike of Amaretto. Limited variants, but good variety in the beverage list including presses, wines, beers, spirits and coffees. Usage of ingredients like canned artichokes, which lack flavor can be avoided. ‘Fresh’ is what it takes. Beautiful Music, stunning design, unique experiences and exceptional food have been the strength for the chain. I really think it stands a chance for what it has to offer and at INR 1200 for two, it is worth a visit.